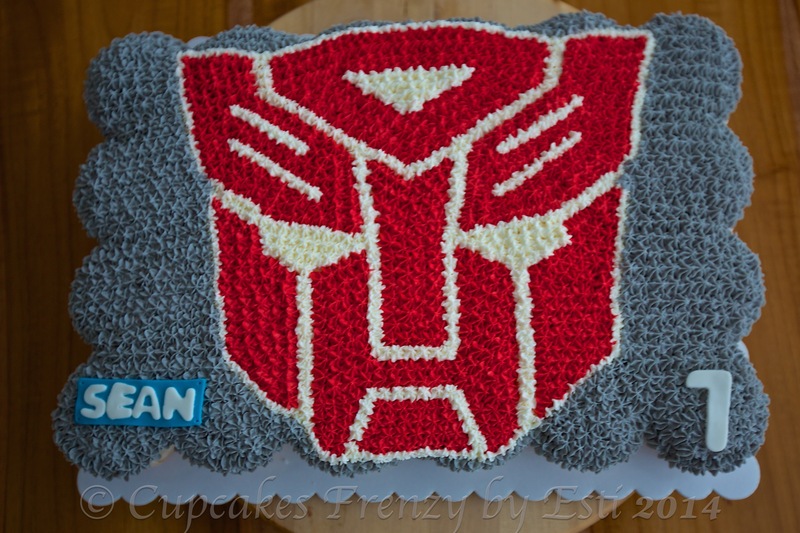 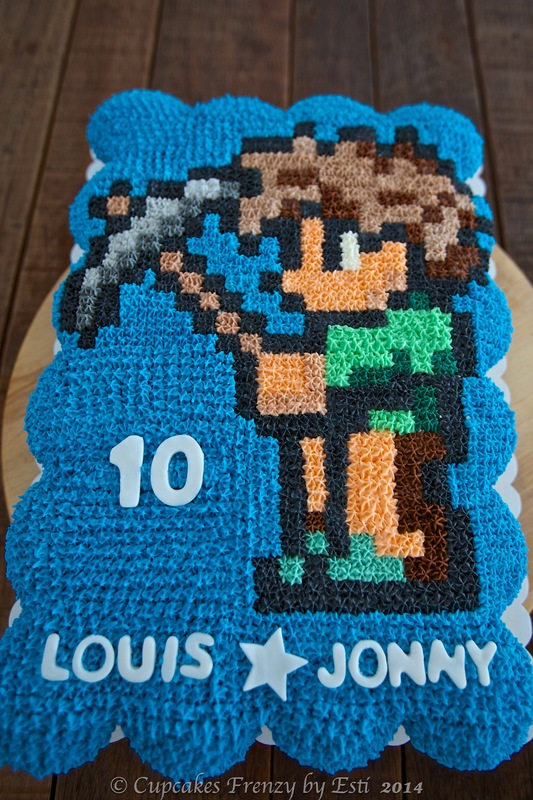 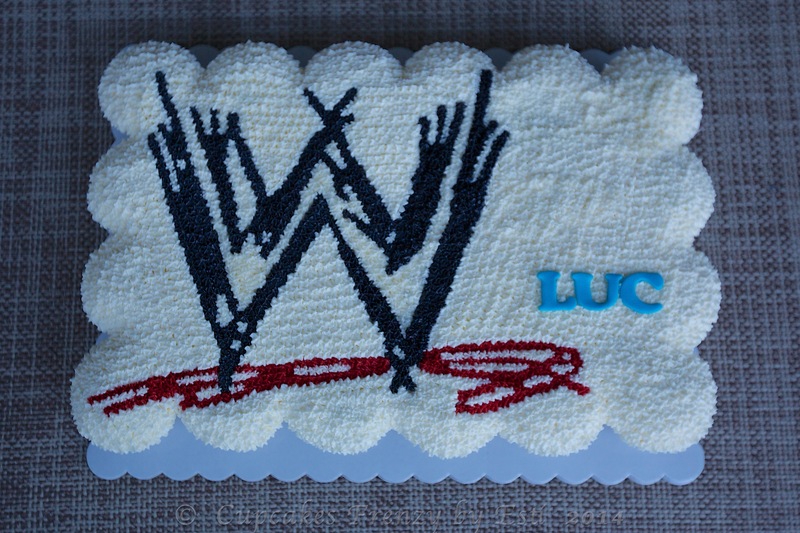 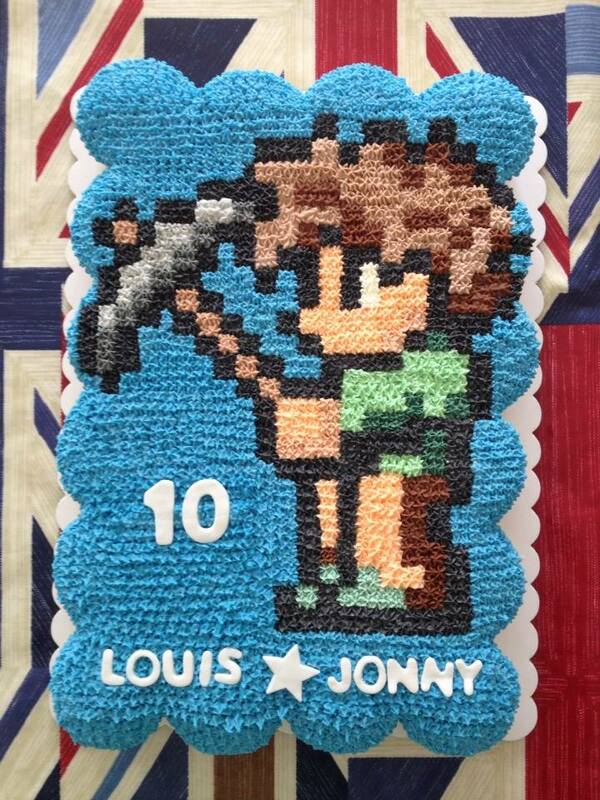 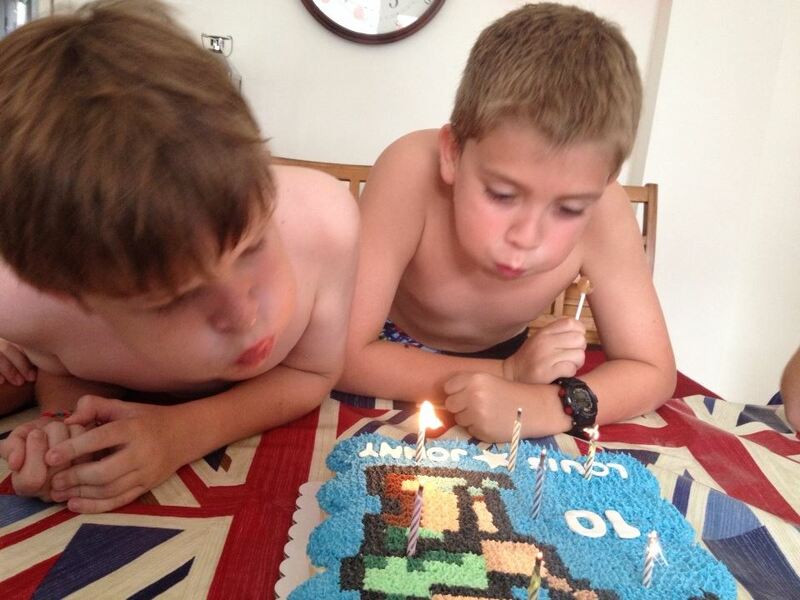 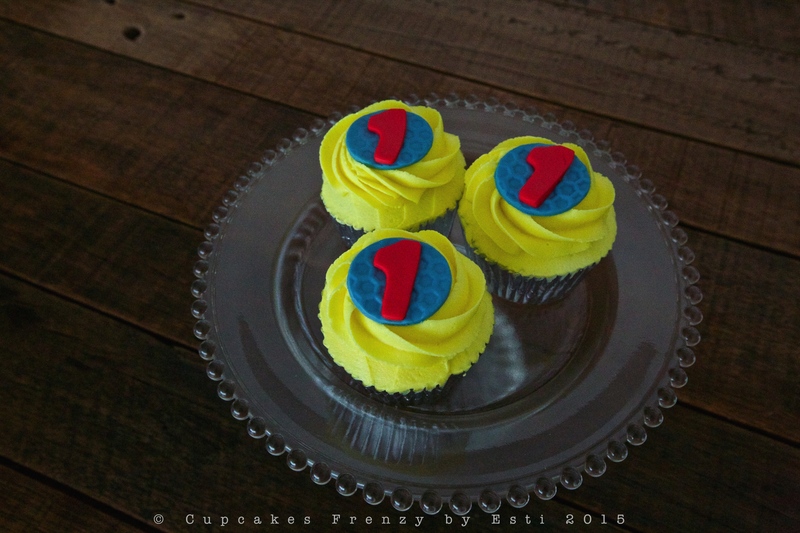 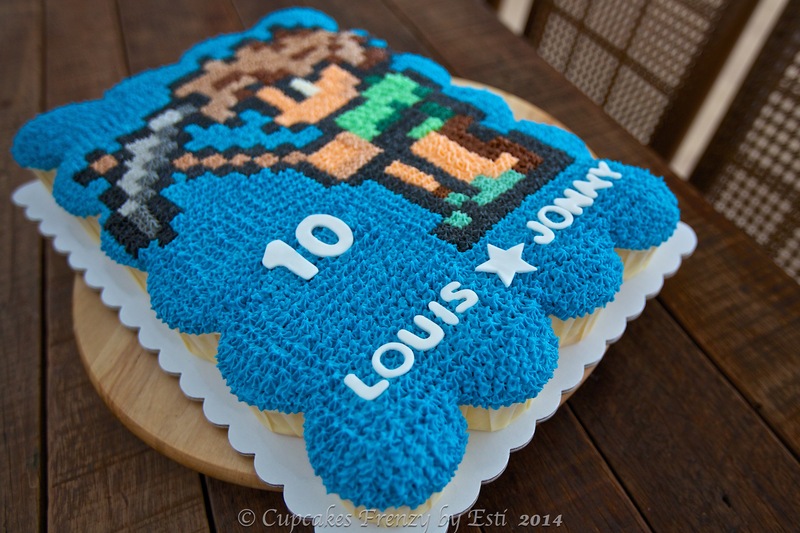 A Vanilla pull apart cupcakes cake with video game theme for Louis and Jonny‘s 10th birthday celebration. 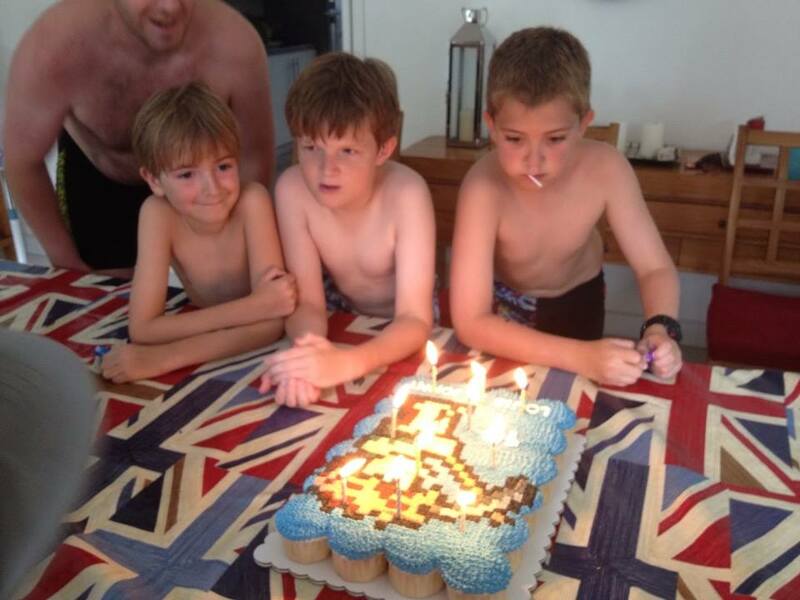 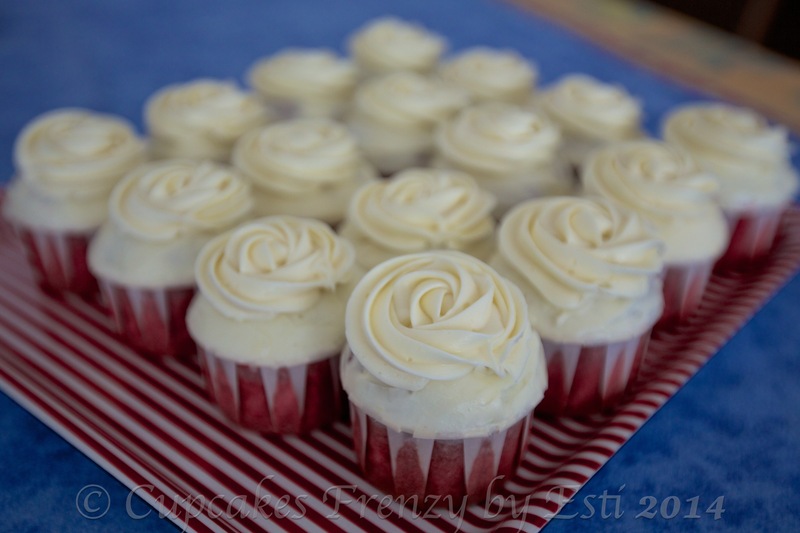 Awesome photos from the party as well, love magic candles, double the fun! 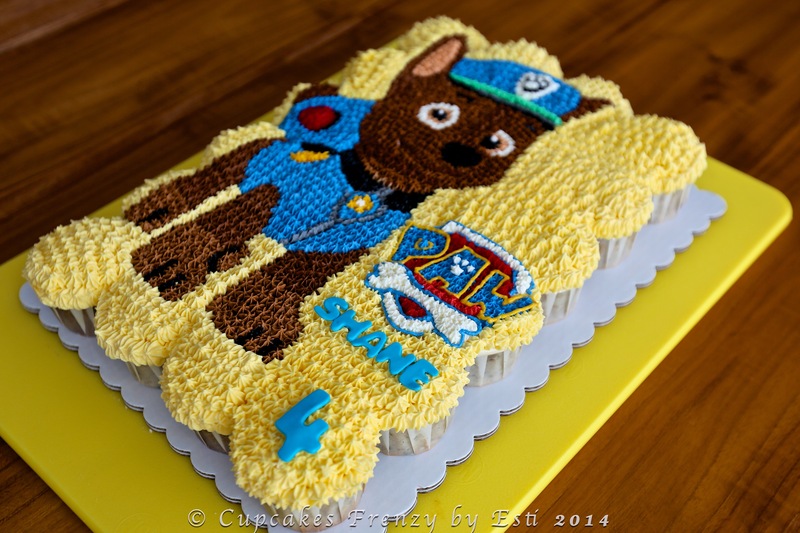 Meet Chase, one of the heroic puppies from Paw Patrol (Nick Jr). 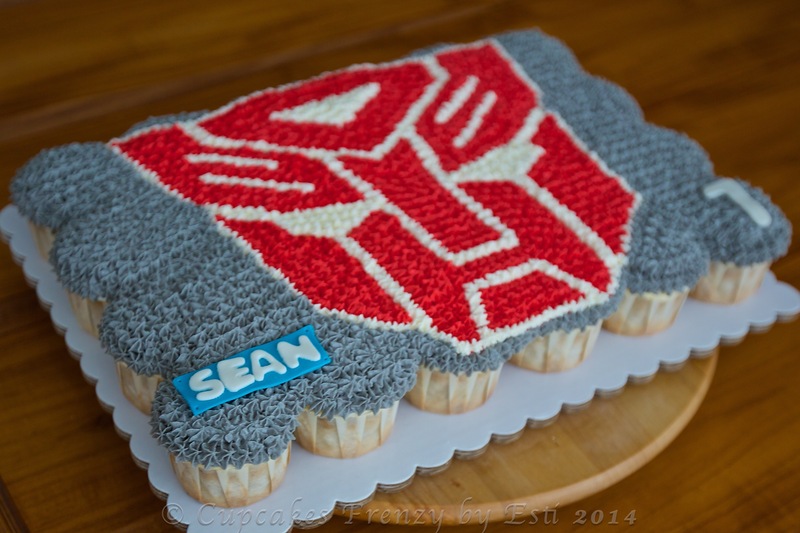 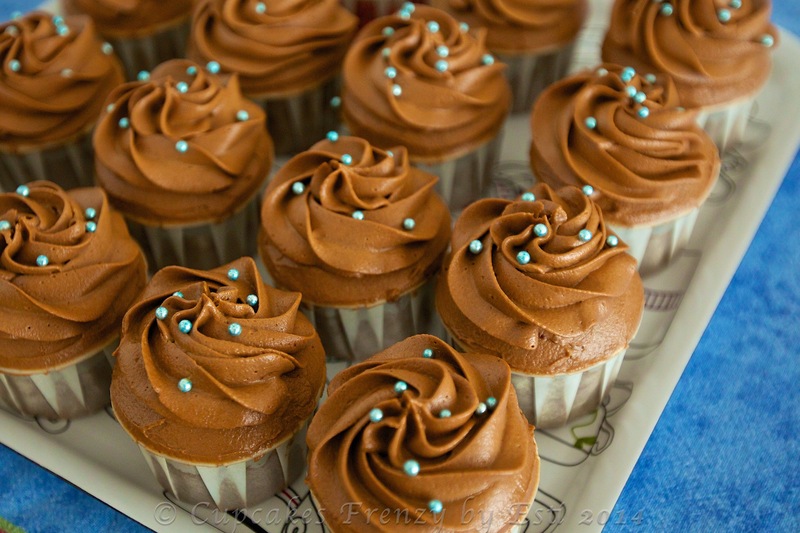 This pull apart cupcakes cake consists of oreo and chocolate cupcake with buttercream frosting, Lyn’s order for Shane’s 4th birthday. 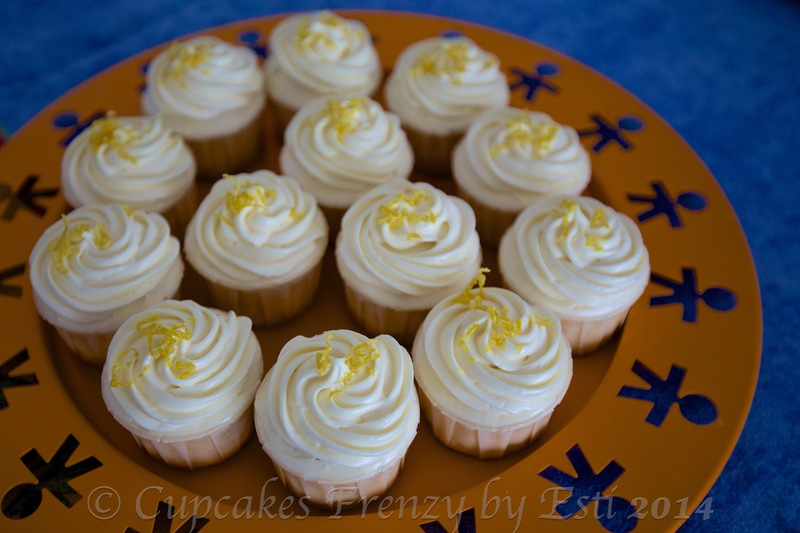 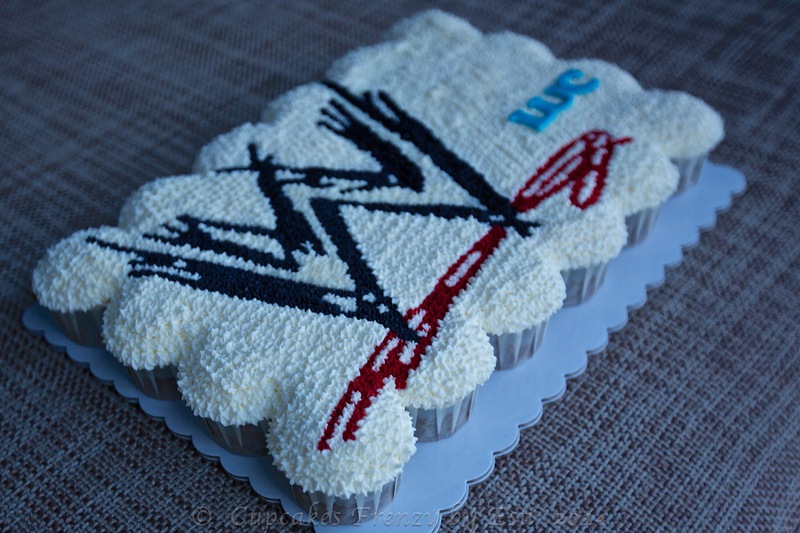 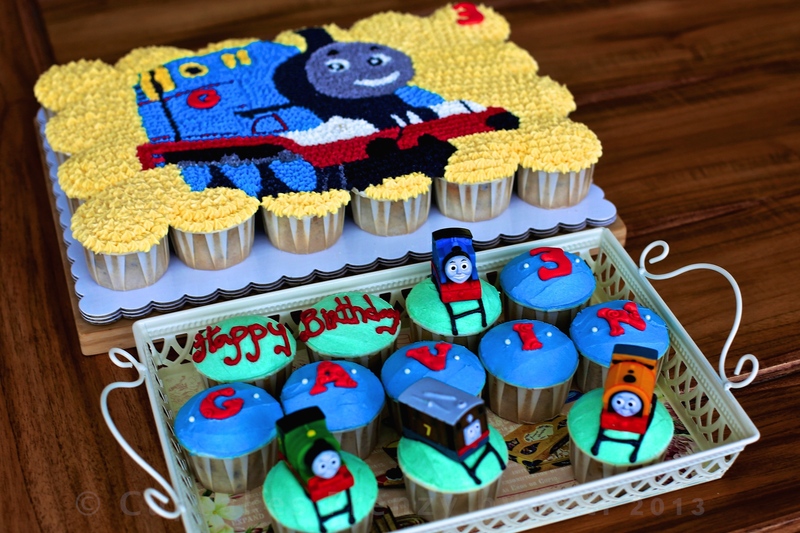 To date, the most intricate pull part cupcake theme design I’ve ever made. 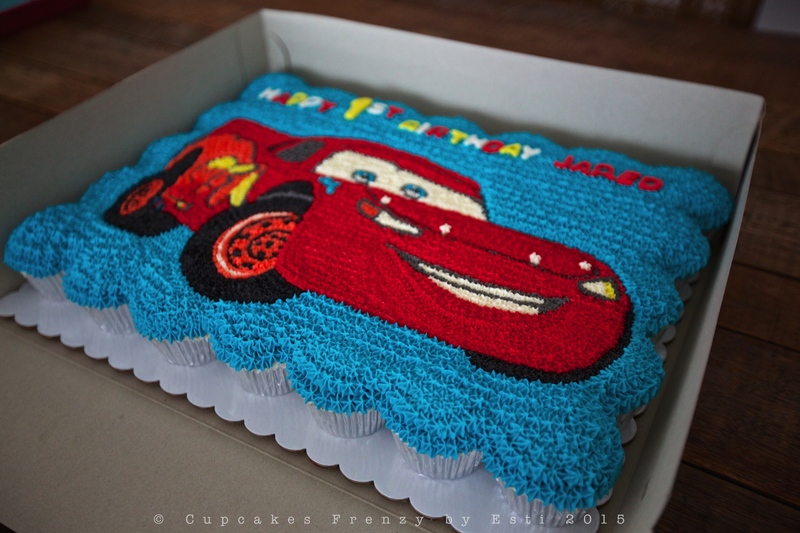 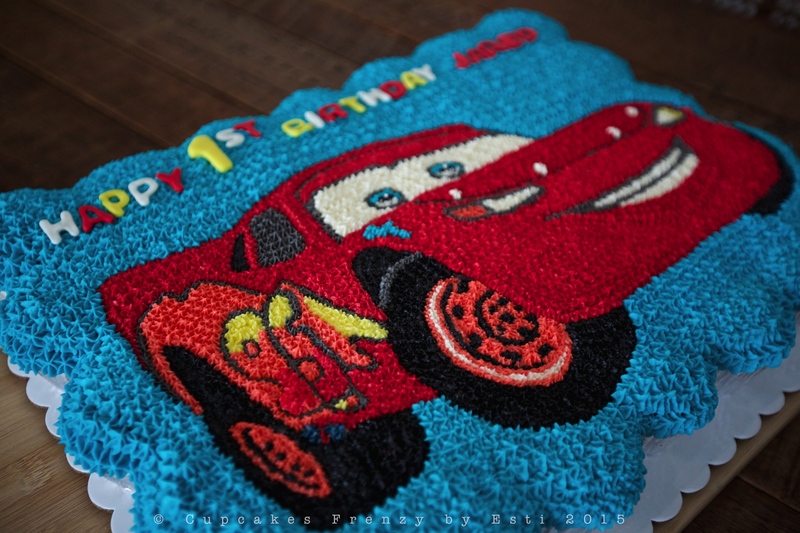 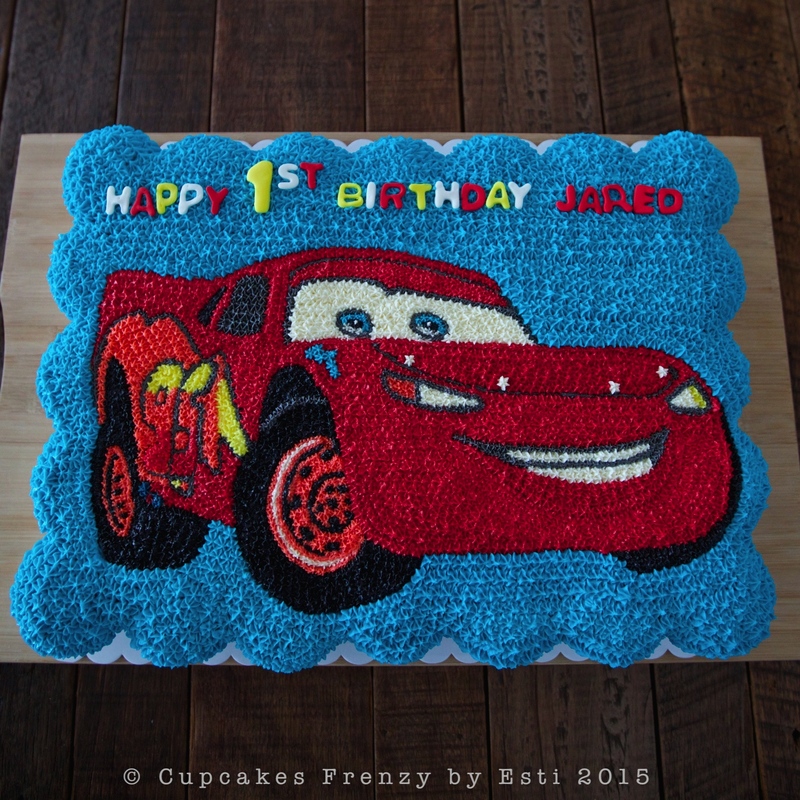 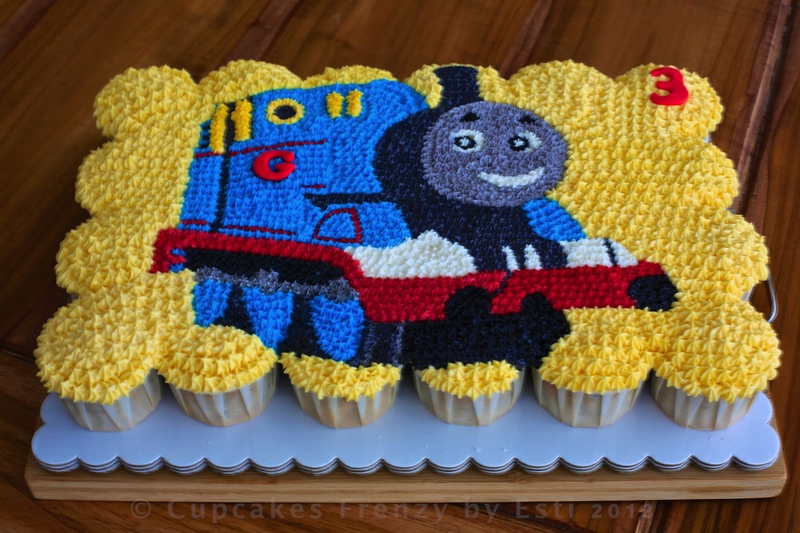 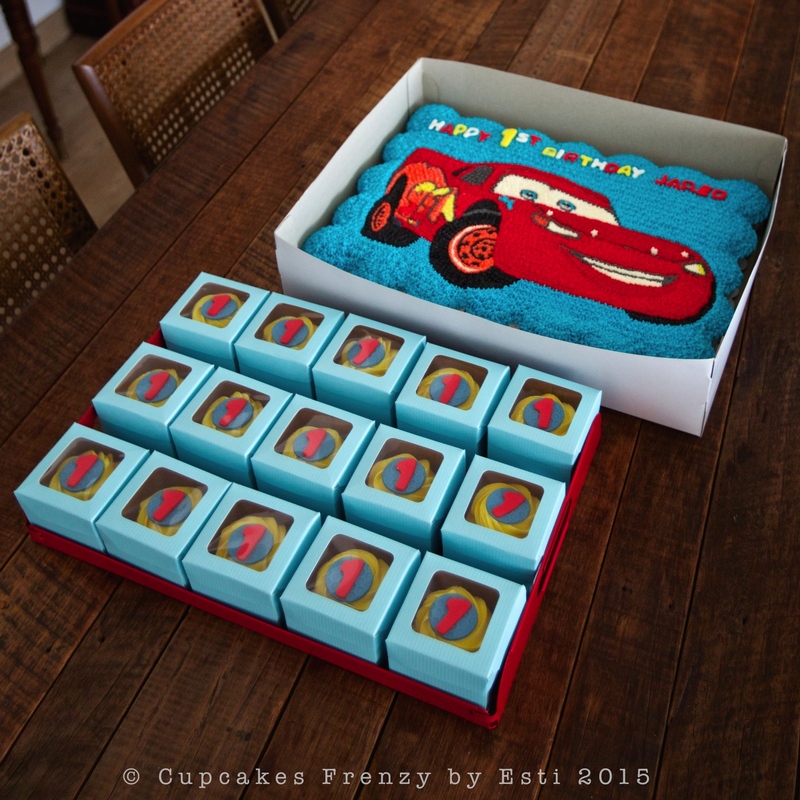 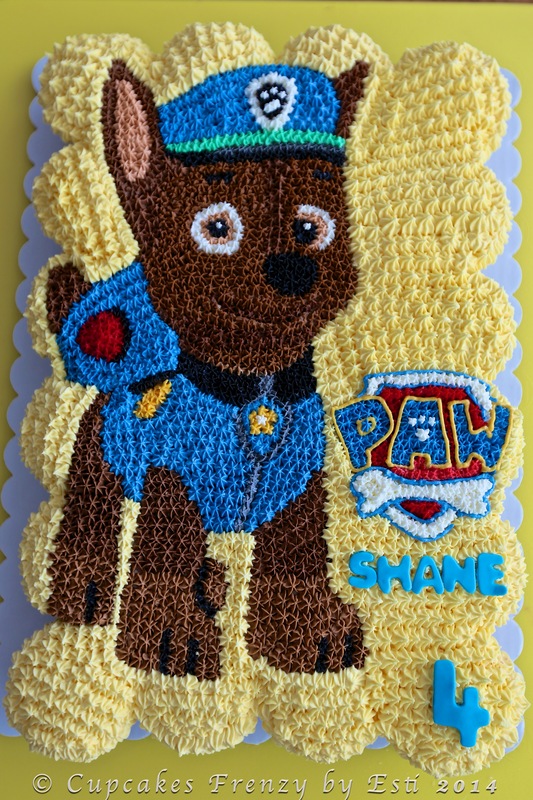 My friend order for her son 5th birthday celebration. 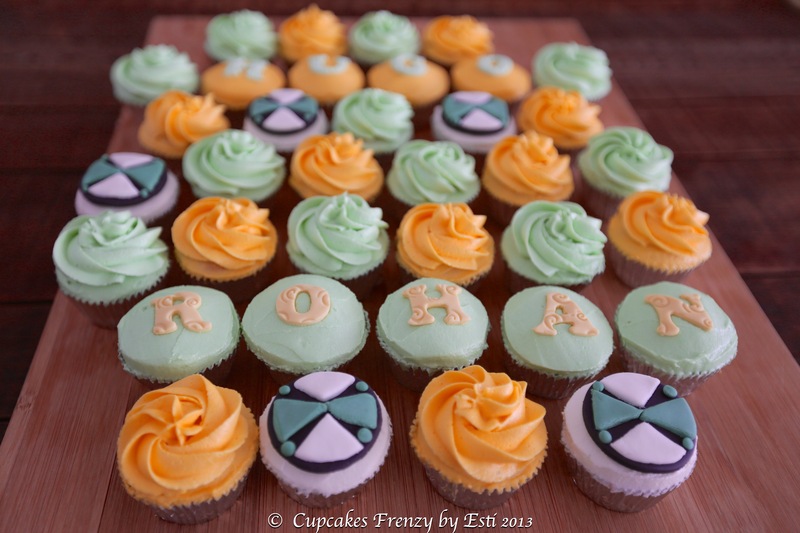 Rohan loves Ben 10 so I made 5 Omnitrix watch topper using sugar fondant, these are mini vanilla cupcakes with buttercream frosting.